Toxys was founded in mid-2014 by Giel Hendriks and is a spinoff of the Humane Genetica department of the Leiden University Medical Center (LUMC). Giel developed the first product of Toxys, Toxtracker, while working as a scientist for the LUMC. 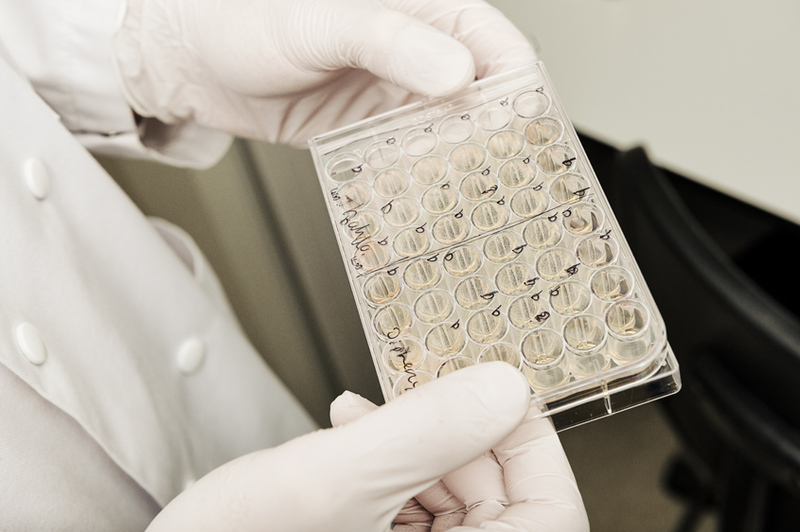 Toxys is a specialized Contract Research Organization (CRO) which focusses on the development and execution of mechanistic in vitro toxicity tests. Toxys uses its unique ToxTracker reporter platform to do so. ToxTracker is a unique test, based on stem cell technology, which is able to identify the most important carcinogenic properties of new substances. Toxys provides a response to the pressing need of the pharmaceutical, cosmetics, and consumer industry for better and smarter in vitro tests. The market for Toxys consists of the following target groups: pharmaceutical, cosmetics, chemical and food industry. The pharmaceutical industry is the primary client. The ToxTracker is not be sold as a test to start with, but is used to test substances for third parties by Toxys. Therefore, Toxys is primarily a service company. This is fully in line with the market developments, in which the industry subcontracts the screening of substances to Contract Research Organizations (CRO’s). In a later phase, Toxys has the ambition to license ToxTracker to CROs and the industry. Toxys is currently working on the development of new, innovative test systems that contribute to the development of better medicines and safe products. The first clients, amongst which Janssen Farmaceutica and Procter & Gamble, have already committed to have the first substances tested. The mission of Toxys is the development of mechanistic in vitro toxicity tests, which provide an insight into the biological reactivity of substances, in order to improve the analysis of health risks of new products. Toxys consists of a team of experienced scientists and entrepreneurs, who, every day, are working enthusiastically on the success of Toxys. Giel Hendriks is the Managing Director of Toxys. He is an expert in the area of genetic toxicology and the inventor of the ToxTracker assay. Giel: “KIKK Capital (fund: ZIF) has an open and honest manner of doing business, in which mutual trust plays a key role. Good communication, the ability to act quickly, and good social contacts fit perfectly with the working method of Toxys. Due to its experience with investments in innovative biotech companies, KIKK Capital is an ideal investor for Toxys."